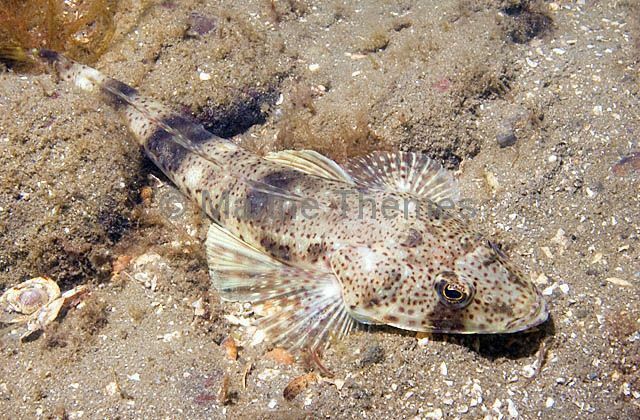 Southern Sand Flathead (Platycephalus bassensis) canibalising juvenile Flathead. 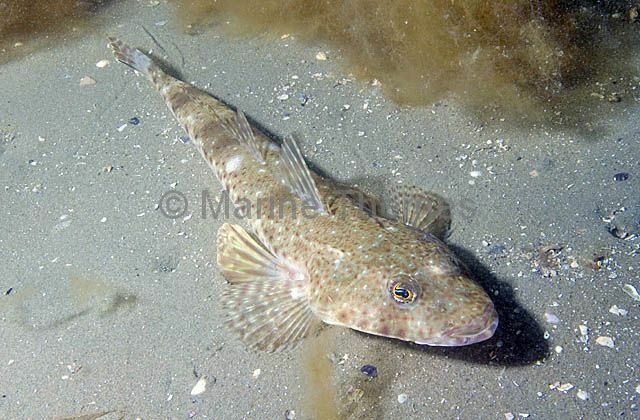 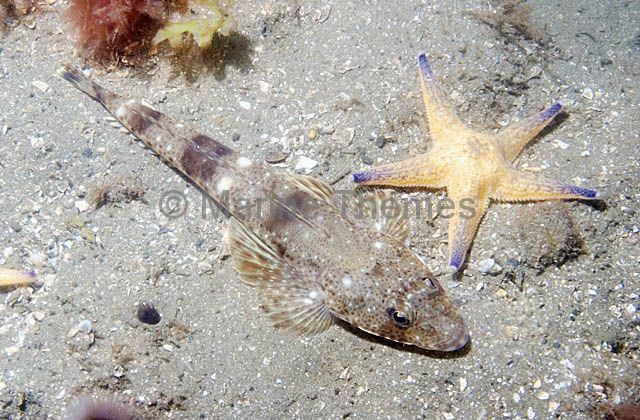 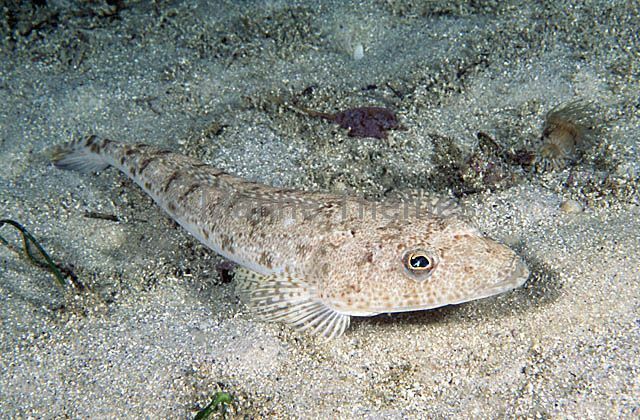 Southern Sand Flathead (Platycephalus bassensis) Commercially fished species. 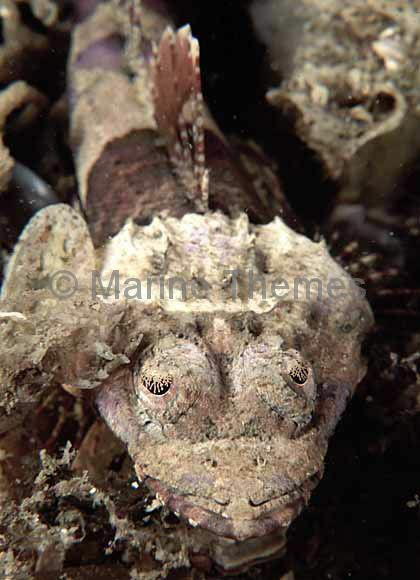 Rock Flathead (Thysanophrys cirronasus) showing camouflaged eye pattern. 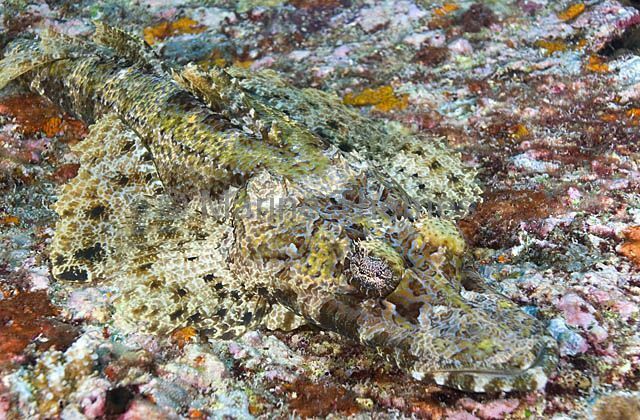 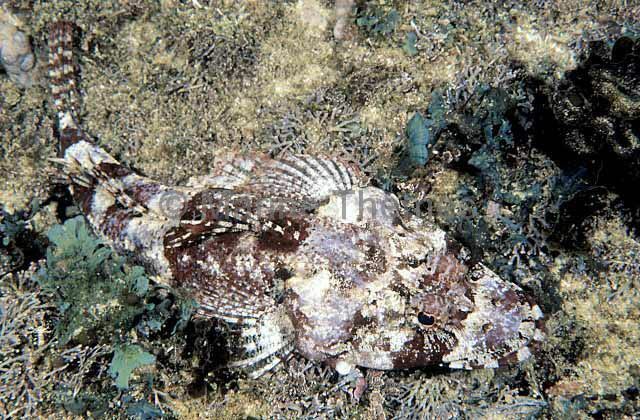 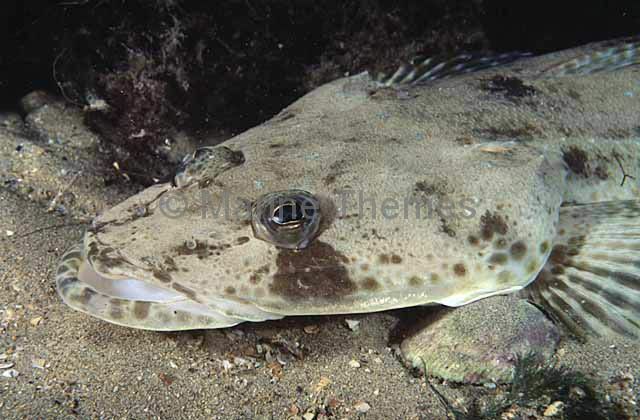 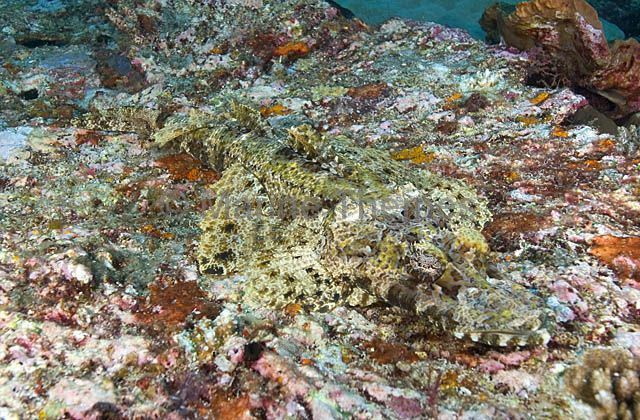 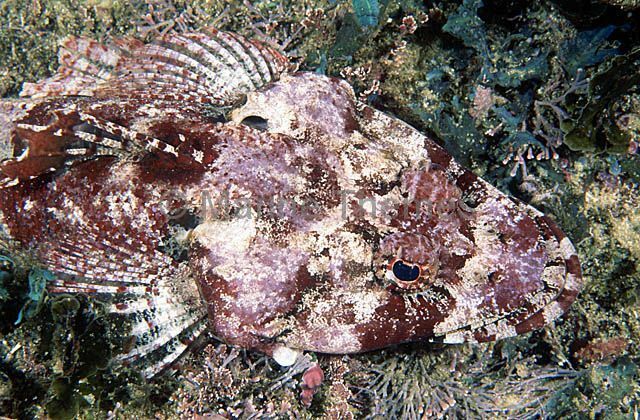 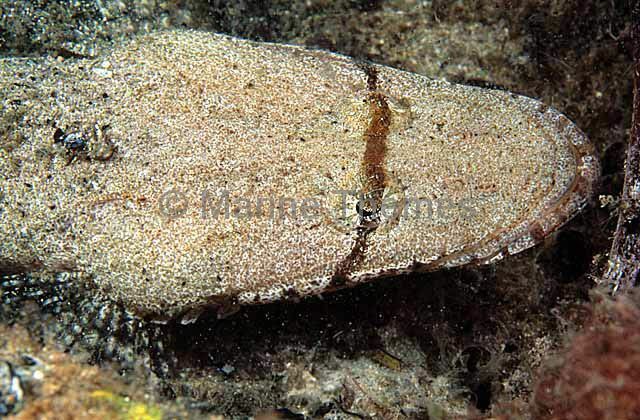 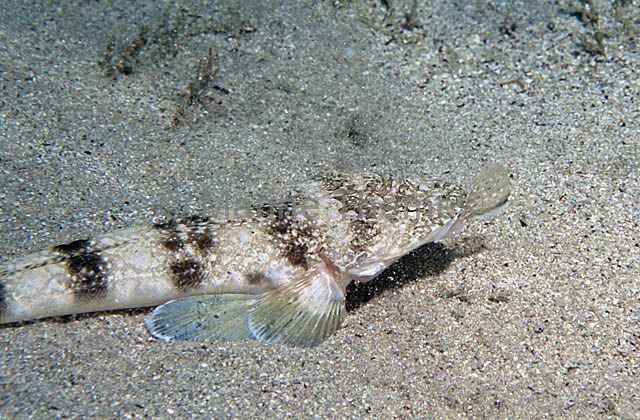 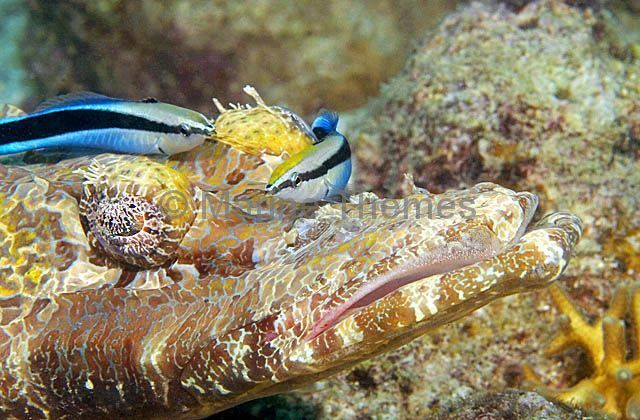 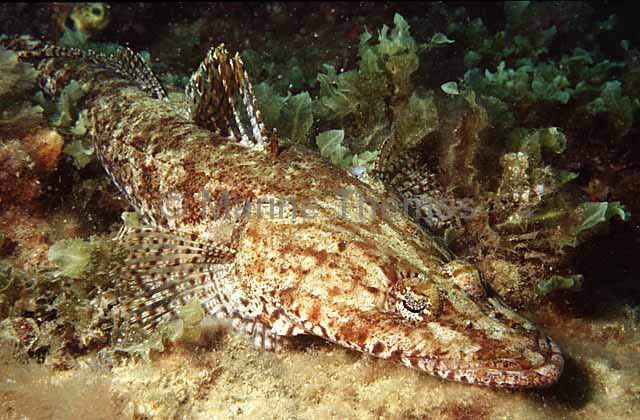 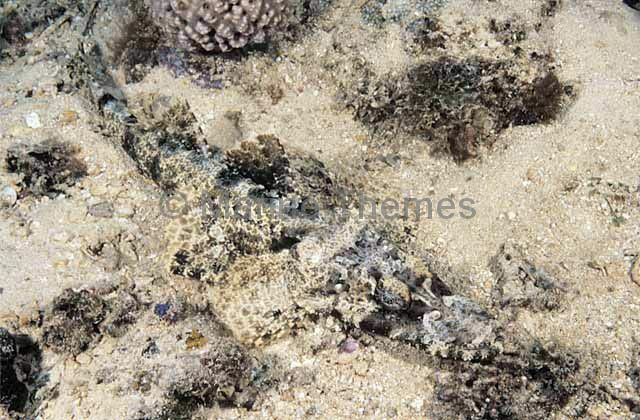 Crocodile Fish (Cymbacephalus beauforti) Camouflaged ambush hunter. 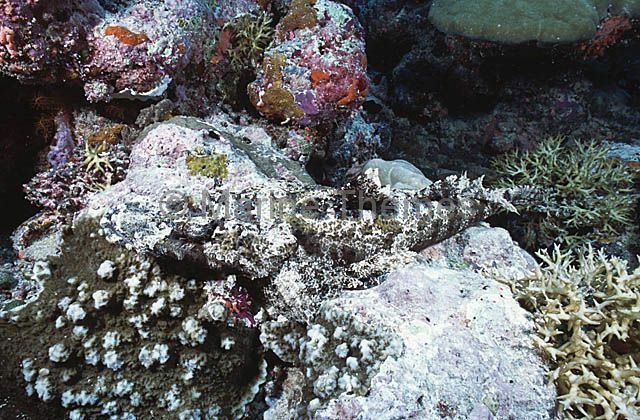 Crocodile Fish (Cymbacephalus beauforti) blending into coral reef background. 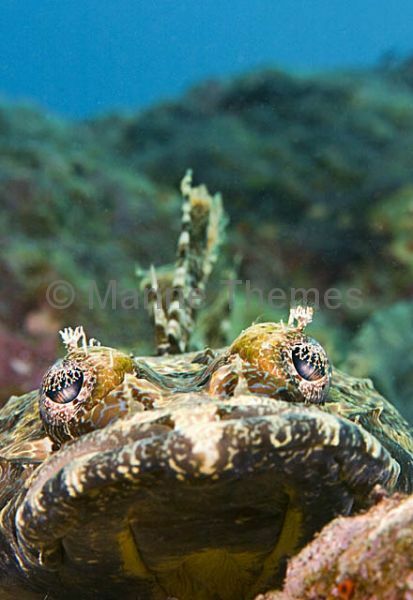 Crocodile Fish (Cymbacephalus beauforti) portrait. 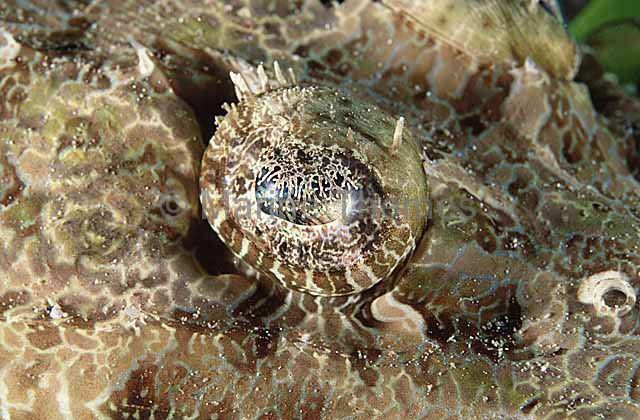 Crocodile Fish (Cymbacephalus beauforti) Detail of eye pattern. 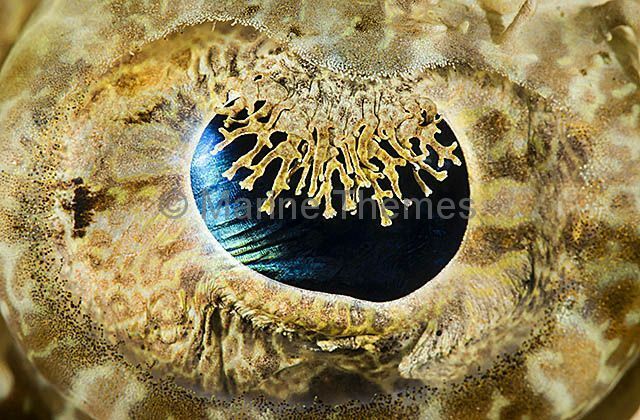 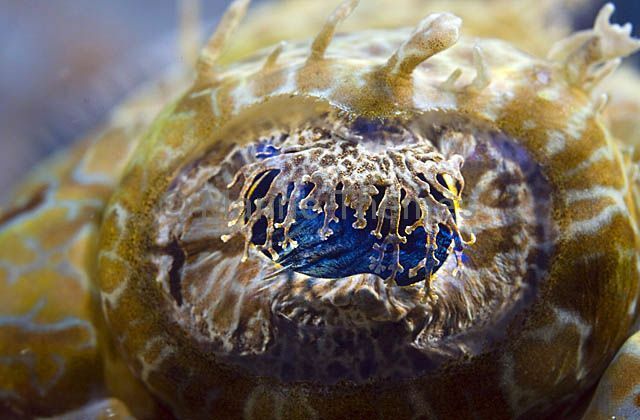 Crocodile Fish (Cymbacephalus beauforti) Detail of eye.